and they're used to measure loudness. 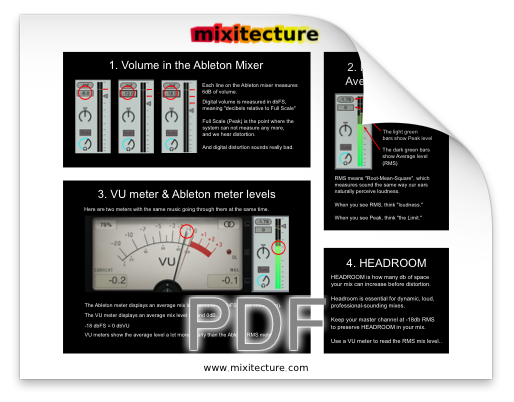 This FREE cheat sheet shows you how to read the VU meters in Ableton's mixer, so you can make dynamic, loud professional mixes. Success! Now check your email, your download will arrive in a minute.